Obviously my syntax is not incorrect or else it wouldn't start populating the field correctly. This will select only records with no zeroes. When you use field calculator, it will only process these records. You can play around with other selections to get it right. As was the case for user "I am a guest", I got the same error and my issue was with decimal notation. I am using an American computer but studying in Spain where they use commas instead of periods to denote decimals, i.e. instead of $2.00 they write $2,00. 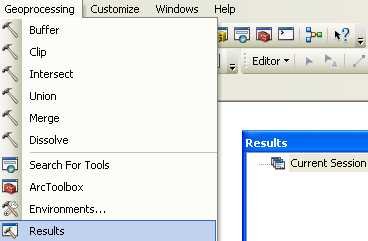 I changed my computer's default formatting settings to match the format of the data in the Region and Language section of the control panel. After that the calculation worked correctly. I am not happy with this solution but do not want to edit the data either. I had a similar problem and it turned out to be a problem of decimal notation. for some reason my results are displayed with a ',' as a decimal seperator but the field calculator interprets this as a seperator for thousands. When copying the values and changing ',' with '.' i got the correct results. I was having the same problem, and it turned out to be a syntax error. I think it's pretty lame that there's no longer a pop-up to notify you of this in 10, you have to go to Geoprocessing > Results, as Brad Nesom indicated above. The fact that the pop-up didn't appear led me to believe my syntax was ok and look for a different problem. Not the answer you're looking for? Browse other questions tagged arcgis-desktop arcgis-10.0 field-calculator or ask your own question. Why does Field Calculator say failure during processing, check geoprocessing results window for details?